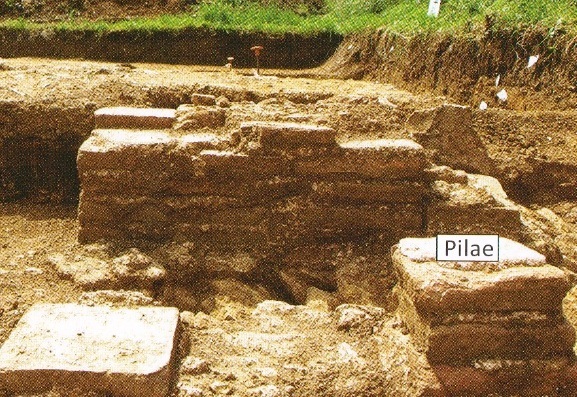 The excavations in 2011 and 2014 revealed details of the Roman heating system and bathhouse. These features make clear that the villa discovered between Itter Crescent and Fane Road in Peterborough was owned by a wealthy family which enjoyed a luxurious lifestyle. During the Community Excavation of the Fane Road Roman villa site volunteers found hundreds of fragments that belonged to the villa’s underfloor heating system. 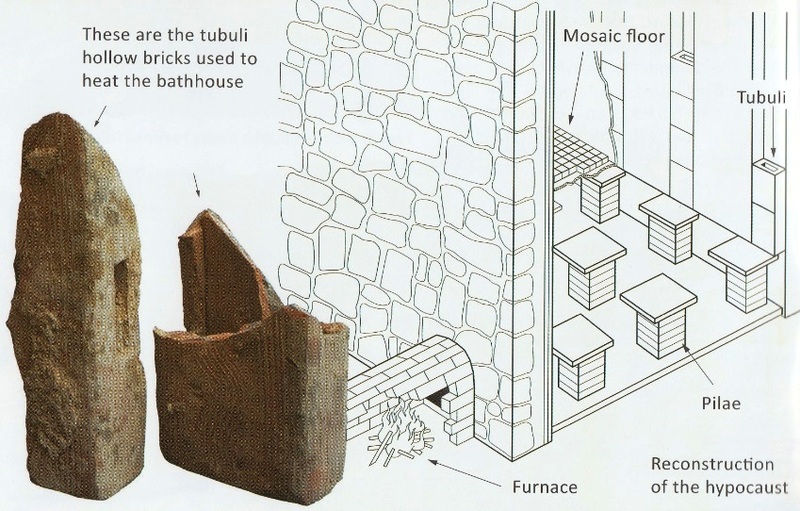 In this hypocaust system hot air circulates under a raised floor supported by columns of bricks (pilae). It then travels up the wall in hollow bricks called box flue tiles (tubuli) before leaving the building through vents. Judging by the amount of broken bricks and tiles found by the archaeologists and volunteers, several rooms in the villa must have had both heated floors and walls. This would require a plentiful supply of wood to keep the furnace fuelled. During the original excavation archaeologists found what they believed to be the caldarium (hot room) and the tepidarium (warm room). These two rooms plus the hypocaust heating system would have formed part of a Roman bathhouse complex. Within the bathhouse complex there were several other rooms used for entertaining guests. The walls would have been plastered and painted. 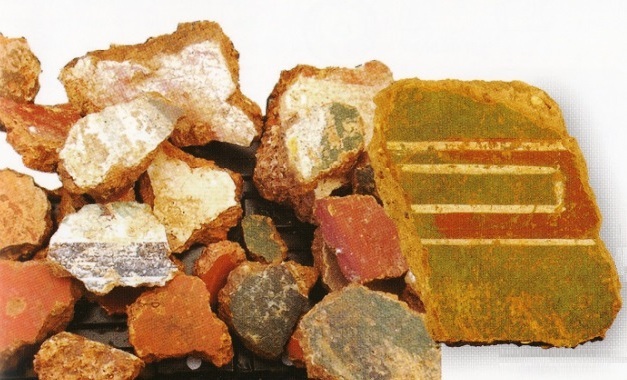 The Community Excavation found hundreds of fragments of Roman painted wall plaster. These varied in colour from white, yellow, maroon, green and grey to black and red. Several different wall schemes appear to have been used during the life of the villa, although generally there seems to have been a linear scheme with vertical and horizontal contrasting colours.